“All the world’s a stage and men and women merely players’’ – William Shakespeare wrote so in As You Like It. Same holds true for climbing routes; they are stage and climbers, merely actors. In 2007, a team of rock climbers from overseas opened a climbing route in Ladakh. It has since become an absorbing challenge for a few dedicated Indian climbers. In Sanskrit, the word samsara refers to the cycle of death and rebirth to which, material life is bound. Nirvana – in Hinduism, Buddhism, Jainism and Sikhism – refers to the profound peace of mind that is acquired with liberation from samsara. Climbing routes are usually named by those who ascend them first. 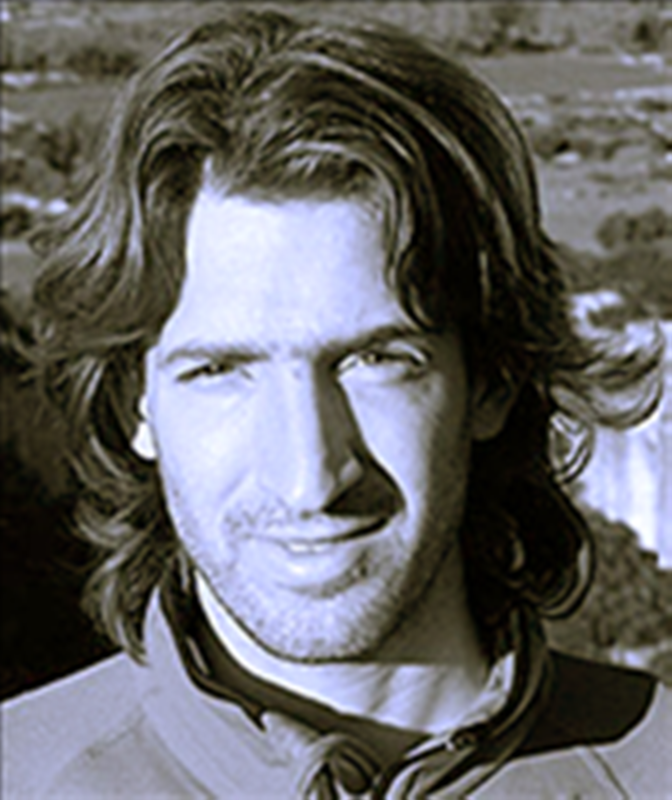 The climbing route Giovanni Quirici pioneered in 2007 in Ladakh was called Samsara is Nirvana. According to published reports, others in the team included Elie Chevieux, Claude Chardonners, Guy Scherrer and Phillip Chabloz. The route lay on a rock face in Tsogra gorge in the Kharnak region and received little attention from Indian climbers for the next few years. In 2010 or so, at the annual climbing competition organized by Girivihar in Mumbai, Pune-based Tuhin Satarkar met Elie. “ Elie mentioned about Samsara is Nirvana to me. I decided to find out more about it, and emailed him a few months later. He shared some information with me, but it was all very haphazard,’’ Tuhin, among India’s best young climbers, wrote in when asked. In early 2015, he did a recce trip to Leh to find out more. A key person in the emergent Indian attempts to climb Samsara is Nirvana is Tenzing Jamyang. He manages GraviT, a combination of climbing gym and café in Leh. It is a popular hang-out for visiting rock climbers. Jamyang is also one of the organizers of the Suru Boulder Festival and runs an adventure travel business. His first brush with Samsara is Nirvana was roughly the same year Tuhin met Elie in Mumbai. A couple of French climbers were in Leh looking for the route. They had with them a rough map. Jamyang got some idea of the route’s location from that. But a climbing line on a rock face in vast mountain landscape – that needs more than approximate map to be precisely located. Over time, he gathered more information. When Tuhin arrived for the recce trip, Jamyang was able to link him up with a local horseman who knew Kharnak and the Tsogra gorge. Tuhin would later compare finding the rock face hosting the route to solving a puzzle. “ By the end of it I had everything I needed to attempt the route,’’ he said. Tuhin attempted Samsara is Nirvana with Pascal, a French climber. “ It was extremely challenging since there had been no ascent on it since 2007, when the first ascent had taken place. It was difficult to pinpoint the exact route and spot all the bolts. It resembled climbing the route for the first time. The weather conditions were terrible and we ended up having to retreat just 100 meters away from the summit, without completing the ascent,’’ he said. Two things have been evident to some of the Indian climbers attempting Samsara is Nirvana. First, given sections of lose rock, it is a dynamic route. Climbers said the realities of the route keep changing through the years. Second, you must be able to handle long run-outs. Long run-outs make the size of potential fall before protection kicks in, big. Why this trait features on Samsara is Nirvana is unclear. One recurrent train of speculation has it that the pioneers may have been short of expansion bolts and so spaced out placement of protection. Tuhin explained his experience of the route, “ There are at least 20-30ft slabs of loose rock on the wall, which adds to the challenge. One needs to be very careful, especially due to the location and terrain since accidents can potentially be very dangerous. Since the first ascent in 2007, there has definitely been a lot of weathering, some parts of the rock have fallen off. We can’t really say anything about the run-outs, since we don’t know if any of the bolts have been dislodged or fallen off. 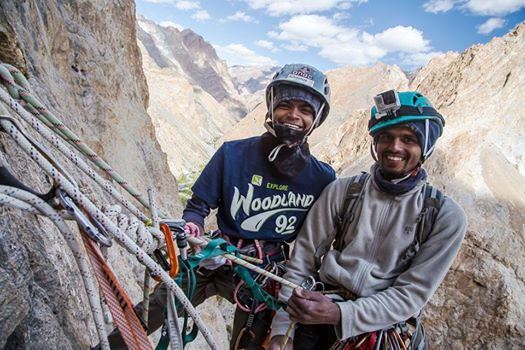 It did make a difference while climbing it with the long run-outs.’’ When Tuhin and Pascal made their attempt of Samsara is Nirvana in 2015, Jamyang’s outdoor business had provided the required infrastructural support. During one of the support trips to Tsogra gorge, Jamyang said, Delhi based-climber Sandeep Maity got a chance to go along and see the route. In 2016, following that year’s Suru Boulder Festival, Sandeep and fellow Delhi-climber, Kumar Gaurav were having a conversation with Jamyang in Leh when he asked the two climbers: why not attempt Samsara is Nirvana? Like Tuhin, Gaurav and Sandeep are part of India’s new generation of rock climbers; all have been part of the national sport climbing team. Gaurav had apparently heard of the route from Tuhin. “ I said it just like that but the two of them were so motivated and fired up that a climbing trip got underway,’’ Jamyang said of that occasion when he mentioned Samsara is Nirvana to Sandeep and Gaurav. The required gear and support was assembled quickly and a four person-team, including Jamyang, left for the route in Kharnak. It was September 2016. According to Gaurav, they reached the location of the route on the afternoon of September 17. By 2 PM, they started to climb. Gaurav took on the role of lead climber. Over the next three hours, they made it to the fourth pitch of the route. Then they came down for the night. Jamyang remembers Sandeep and Gaurav as a good, determined team. Next day, they commenced climbing at around 11AM. By about 4.30 PM, they were at the twelfth pitch. Each pitch signifies a rope length or slightly less. Any climb in which rope is used for safety, including multi-pitch climbs, typically features a lead climber and a belayer. The latter watches the leader’s back and secures the leader’s safety should there be a fall. The belayer’s position on a route trails that of the leader. As the leader climbs he / she keeps passing the rope through protection placed on rock. This may be placed by him / her or as is the case on bolted routes, already drilled and placed in rock. Expansion bolts have provision to take on a quick-draw through which the lead climber’s rope is passed. When the leader falls, he / she falls double the distance ascended above the last protection the rope was passed through. Run-out indicates the distance between one protection and the next. Where run-out is high, the fall can be equally big. Once the lead climber reaches the end of a pitch, he / she anchors self and belays the second climber as he / she climbs up. Gaurav said that data left by the overseas climbers indicated 7b moves and a pretty difficult second pitch. That data was from several years earlier. “ I now think the twelfth pitch is the hardest,’’ Gaurav said. On that pitch, Gaurav took a fall; a big one. According to Jamyang, Gaurav fell twice that day. Following the first fall wherein he hurt his left ankle, he climbed back up. But the second fall from the twelfth pitch was a punishing fall. 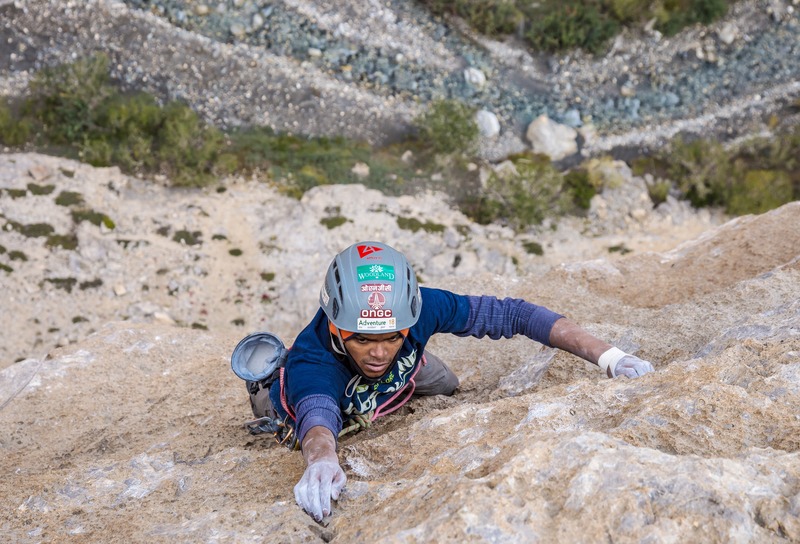 Sandeep, who was belaying, said that this particular portion of the climb featured both long run-out and a “ blind spot.’’ The latter referred to sections of the rock face where climber is not within eyesight of the belayer. A rock face can be undulating; there are intervening ledges, ramps and other rock features. Sandeep couldn’t see Gaurav. Depending on their size and the height at which climbers are, rock faces can also be places where it is difficult to hear properly, even if two people shout to communicate over the distance separating them. Although a climbing rope primarily links two people for safety; the pace at which it is fed to lead climber, its stillness, any resistance felt, how taut it is, how it suddenly goes slack – all these help provide the belayer an approximate idea of leader’s predicament. In blind spots and patches where oral communication is difficult, the rope’s behavior is like a telegraph line. It was the rope that told Sandeep of Gaurav’s fall commencing. He instinctively started pulling in the slack to contain the dimension of fall. There’s only so much any belayer can do when run-outs are long. From far, Jamyang saw the fall. “ It was a big one,’’ he said. Gaurav injured his left palm in the fall. He was in a state of shock. Such big falls are not every day occurrences in Indian climbing. It was the end of that attempt on Samsara is Nirvana. Jamyang carried Gaurav on his back, from the base of the rock face to camp. By the time they reached camp, the injured hand was swollen. It was late evening and immediate exit to Leh was impractical, given several hours of hiking in between. Further, it being a small team, each of them had heavy backpacks. Luckily Jamyang was able to get a trekking group passing by, to carry Gaurav’s belongings with them to Leh. Next day, the climbers hiked out from camp and eventually reached Leh and hospital. On October 23, in Delhi, the injured palm – it was fractured – was subjected to surgery. Doctors were skeptical of pace of recovery, anticipating several months for return to form. By end November-early December, Gaurav however participated in a climbing competition in Nepal. In April 2017, he completed his Advanced Mountaineering Course from Himalayan Mountaineering Institute (HMI), Darjeeling. This was followed by some mountaineering expeditions. There was an attempt to climb Laspa Dhura in Kumaon in May. It didn’t succeed. Reaching Leh in July, Gaurav along with his friend Jonathan Parker (they met at Suru Boulder Festival in Ladakh) climbed Stok Kangri East Face and Kang Yatse 1 and 2. They also went to Dzo Jongo in the Markha Valley region. Amid the recovery from injury and surgery he also made another decision – he would try the route in Kharnak again. Jamyang was already working on a second attempt by Sandeep and Gaurav on Samsara is Nirvana, emphasis this time being on a crew to document the climb. Gaurav however kept his project separate. It wasn’t smooth sailing. According to him, he had initially planned on attempting the route a second time, with Tuhin. That was set aside after the demise of Pune based-cyclist Ajay Padval, in Leh in July. Having navigated the months since injury with return to Kharnak in mind, Gaurav grabbed the next set of sponsors and supporters that came his way. The expedition was thus salvaged but he lacked a crucial element – he didn’t have a climbing partner. Located over 3000 kilometers south of Leh, Karnataka’s Mandya district is part of the Cauvery River basin. It is known for its sugarcane crop. Madhu C.R hails from Mandya, to be precise, a village therein called Chikkankanahalli. After schooling and two to three years of work at his family’s farm, he shifted to Bengaluru driven by the wish to have a career in sports (he used to play cricket in the village). “ It is difficult for a villager to get what he wants in big city,’’ Madhu said, a morning at the café within Bengaluru’s Kanteerava Stadium complex. Not far from where we were, was the stadium’s climbing wall. For six months, after moving to Bengaluru, he worked at a steel fabrication unit. During this time, he chanced to go trekking and made the acquaintance of Naveen, who ran a travel agency. 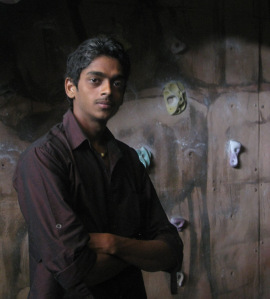 Naveen guided him to the city’s best known climbing wall, located at the stadium. Madhu who was into running and boxing, also became a member of Mars Adventure Club and started working with them. 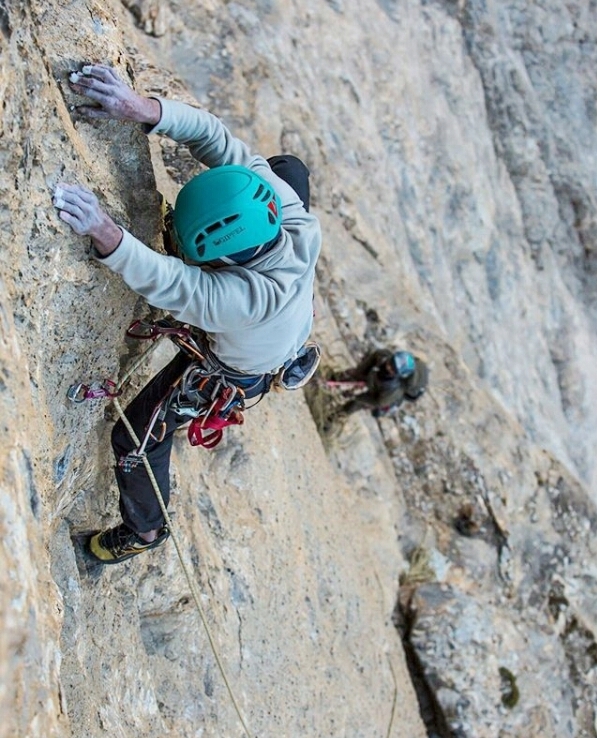 Slowly, his interest in running and boxing faded; climbing became his chosen fix. He became good enough at climbing to participate in competitions at the zonal level. 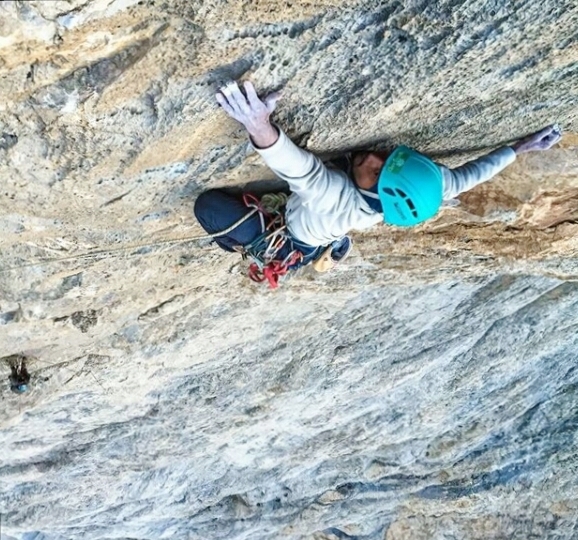 In his third year of climbing, he made it to the national competition. According to him, the best position he ever reached at the nationals was eighth in lead climbing and fifth in speed. It was at a national competition in Delhi in 2013 that Madhu met Gaurav for the first time. Not long after, they met again at Badami in north Karnataka, a much loved climbing destination in India. 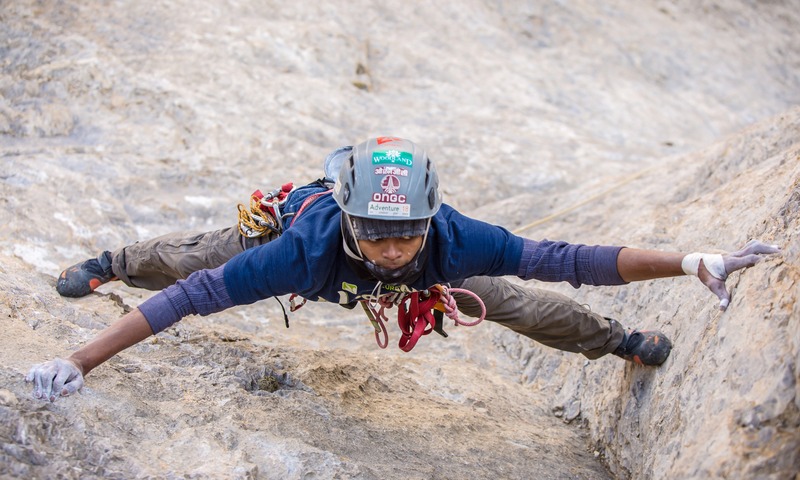 For someone new to climbing and life outside Mandya, Madhu’s forays engage. In June 2015 he made his first visit to the Himalaya; to Manali. He traveled alone. Unlike many first timers who stick on in Manali, Madhu visited Chatru as well – the aim being to boulder at both these places. Across Manali and Chatru, he spent some 45-50 days relishing the weather and fewer people found away from big cities. “ It was a nice experience. I liked it,’’ the youngster from Chikkankanahalli said. He also saw a huge rock face and committed it to memory as a face to climb someday. Since then, Madhu has returned every year to the Himalaya. Madhu’s experience of big walls was restricted to rock faces at Savandurga near Bengaluru. He had climbed a couple of multi-pitch routes; the first such route he did was called Beladingalu in Kannada, meaning bright moonlight. In July 2016, Madhu made his second visit to Manali where he met Kumar Gaurav. According to Madhu, on this meet-up, Gaurav mentioned his interest in Samsara is Nirvana. While Gaurav then moved on to Leh, Madhu went alone for a recce of the rock face in Chatru fascinating him from the previous year. 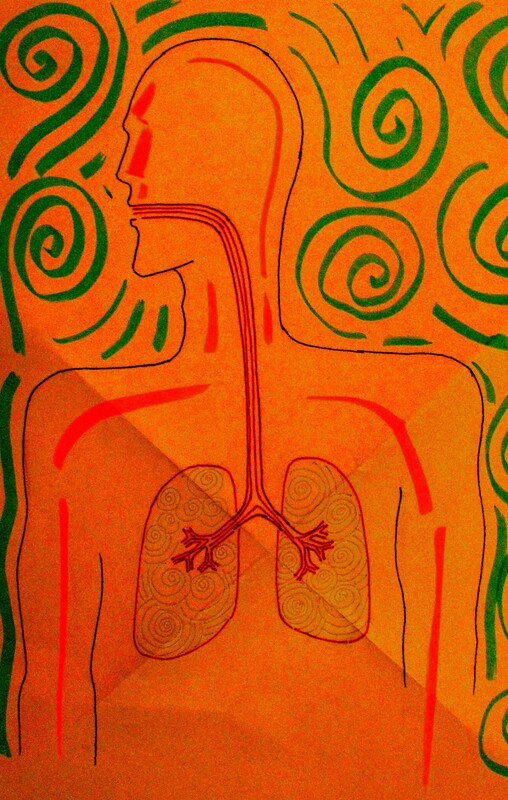 That year, past mid-September, Gaurav’s attempt at Samsara is Nirvana would end in injury. According to Madhu, around April 2017, Gaurav asked him if he would like to go to Kharnak and try Samsara is Nirvana. “ I was a bit confused because I had a lot of work at that time,’’ Madhu said. He thought for a week and said: yes. What a person is in normal life is rarely what person is, while climbing. Knowing a person as climber is therefore important while choosing partners. Gaurav and Madhu had worked as a team before in Badami. They had belayed each other on tough sport routes in Badami like Ganesha and Samsara (not to be confused with the one in Kharnak). In August 2017, they met at a village roughly 100 km before Leh and four to five hours’ hike from the route in Kharnak. Base Camp was reached on August 31. There were totally eleven people in the team. The expedition was sponsored and supported. When he saw it, Madhu liked the rock face hosting the climbing route. Although Madhu wished for a day’s rest before climbing, Gaurav decided to start climbing the next day itself. As they did, Madhu’s assessment of what he had got into became more realistic. The duo got stuck in the very first pitch. Slowly the route’s grade of difficulty and the meaning of long run-out began to hit home. “ I went in blindly,’’ Madhu said in retrospect. On the brighter side, that was also his preferred style; he does not like too much information, anxiety and consequent inaction. On the first day of climbing, they made it past the first belay station but could not make it to the first anchor of the second pitch. So they turned back. According to Madhu, away from the climbing route, the rock face affords easy access all the way to the third pitch. He fixed a rappel rope there, and abseiling down, marked the route over the second and first pitches. Then the duo started climbing afresh from the bottom. Gaurav took the lead and yet again, got stuck in the first pitch. Half an hour went by so. Then Madhu tried it using different beta. It was same outcome. Frustration was building up. Post-lunch, they tried again; Madhu clipped into the rappel rope for additional safety. He somehow climbed the first pitch. Gaurav followed. Madhu then started the second pitch, according to the Swiss, the route’s hardest section. He got stuck at the fourth or fifth bolt. He took a fall. He tried twice. With exhaustion catching up, the duo rappelled down. That was the end of the second day. Third day commenced with the team rappelling down from the third pitch to the belay station at the end of the first pitch. They started climbing from there. Madhu led; he cleared the second pitch in one go. Gaurav led the third, fourth and fifth pitches. Madhu led from the sixth to the eighth. Day 3 ended there. But before it ended, it exposed another challenge in the offing. Madhu tried a bit of the eighth pitch. He got stuck; the nearest bolt for protection was not to be seen. It appeared he had moved in the wrong direction. It was dicey. Consequences would have been severe had he taken a fall at this point. He would have landed on a ledge below. It took him 30 nerve wracking seconds to extricate himself from the predicament and locate the bolt. He had to traverse and climb down to reach it. Wind was picking up as they came off the face. On the fourth day, the duo used a jumar (ascender) to reach the start of the eighth pitch from the fifth. Madhu led through the eighth, ninth and tenth pitches. Then he got stuck in the eleventh. He found that section technically difficult. He had to use trad gear to ensure safe passage (trad gear was used on the eleventh and fourteenth pitches). Somehow Madhu completed the eleventh pitch. He led the twelfth pitch too. On that, he overlooked a bolt. The result was – a long run-out developed. As mentioned before, the problem with long run-out is that it enhances the dimension of potential fall. A fall is typically double the distance you have climbed up from the last anchor. This length of potential fall is called fall factor. The farther behind the last anchor is from climber, the bigger the fall factor. At this stage, attempting the twelfth pitch, Madhu was “ super tired.’’ Tired climber caught in a tough situation – that is something everyone courting the vertical tries to avoid if they can. “ I got scared,’’ Madhu said. There was also an unnerving detail. According to Gaurav, on one of the bolts of the twelfth pitch, Madhu saw the quick-draw left by Gaurav a year before. That was from where he had fallen. Madhu climbed down a bit, rested a while and tried again. He still couldn’t find the right holds. He told Gaurav that he was unable to proceed. Gaurav told him to come down. Fourth day ended on that note but with a twist. The twelfth pitch commenced from a small ledge. They decided to spend the night there. It was their first bivouac on the wall. Between the two, they had carried a sleeping bag, a poncho, a jacket, a small cachet of dry fruits, half a liter of water and half a liter of Tang. “ The bivouac was not part of the plan. But it was the most efficient thing to do. It seemed better to finish the route and come down,’’ Madhu said. The night on the ledge was cold and windy. Mercifully it did not rain. Madhu could not sleep that night. He knew that the twelfth pitch was there, waiting for them. Next morning they began climbing at around 8 AM. They waited till then for the night had been cold and the rock needed to warm up in sunshine, so that it could be held by human hands. Staring at the twelfth pitch, Madhu was sure he wasn’t going to give up. Gaurav shared the sentiment. They motivated each other. Thanks to night on the ledge, their fingers and feet were almost numb from cold. Additionally Madhu’s feet hurt badly. Good rock climbing shoes are expensive to afford. More precisely, climbing routes being varied depending on type of rock and length of climb, the shoes required for each climb also varies. The rock climbing shoes Madhu owned were meant for aggressive climbing. That meant they fitted very tight on the feet, driving energy to the big toe. This is perfect for short, aggressive climbs. Long routes require a more relaxed fit and Samsara is Nirvana wasn’t just long, it was proving to be a multi-day affair. Managing all this in his head, Madhu once again overlooked a bolt on the twelfth pitch. The run-out grew. But there was a difference now. The duo’s confidence level was up; they knew they weren’t going to leave the job half-done. Madhu cruised through the difficult section. “ That morning I knew I could do it. The only thing to be careful about was a fall because the run-out was long,’’ he said. Pitch number thirteen was easy. But problems persisted. The next bolt – bolts have hangers for attaching quick-draws, so they are sometimes called hangers for convenience – couldn’t be found. On risky dynamic routes featuring patches of bad rock, hangers positioned by pioneers also serve to show the way. In their absence, climbs become difficult. Worse, when you are attempting a given route and you can’t locate hangers, how do you tell the climbing world that what you climbed and finished was actually the route? Progressing through the thirteenth pitch, Madhu encountered two belay stations at the fourteenth. He went towards one of them but was confused of way ahead. He found a rock patch, flaky and loose. “ One day that will come down,’’ he said. He used trad gear to stabilize himself and stayed there for a while, wondering what to do. Gaurav climbed up to join him. Finally the duo found an anchor forty feet further up but left of the route they were on. It became visible when sunshine graced its metal and it shone. 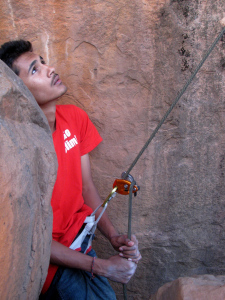 Madhu used trad gear to correct his direction, reached the bolt and clipped in. From there to the end of the sixteenth pitch was easy. Except for one issue – the end of a climb is typically indicated by a proper belay station. All they saw at the end of the sixteenth pitch was a single hanger. They looked around for signs of route continuing. They couldn’t find any. It was perhaps a fragile ending in terms of convincing those who seek firm proof of exact route completely done (some articles on the Internet describe Samsara is Nirvana as 17 pitches-long; Gaurav said, the topo [description of climbing route] he had, showed 16 pitches). According to Gaurav and Madhu, they looked around for more bolts and accepted that single bolt as conclusion of climb because they couldn’t find any more bolts marking the way. They spent half an hour savoring their success. Then, they rappelled down to the eighth pitch. By around 8 PM, they were at the bottom of the face. As rock climbing gains currency in India spawning a new generation of professional athletes backed by sponsors and media, the competition among climbers has risen. It is not the innocent, forgiving world of before. Climbers, climbs done, claims of first ascent – all get thrust under the scanner. News of the 2017 climb evoked mixed response. Critics latched on to the lack of clarity in route taken – especially the climb’s concluding portion. Purity of climb from beginning to end – that too has been questioned. 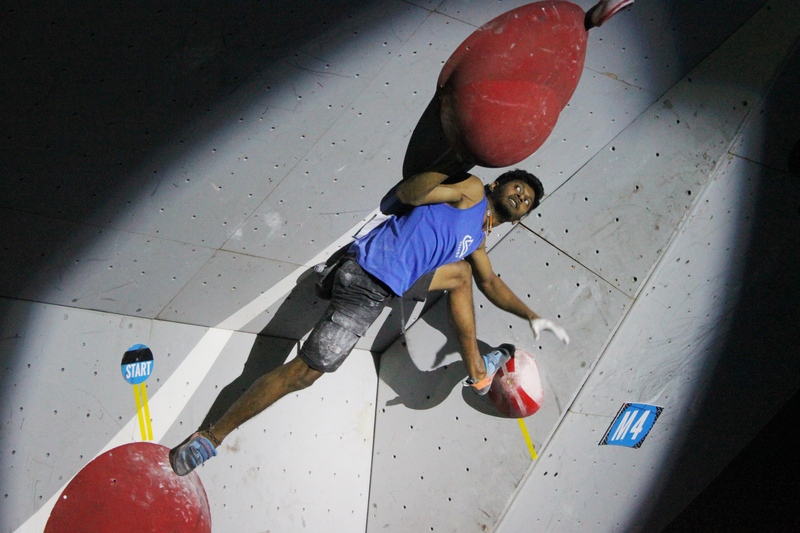 When it became clear that Gaurav was proceeding with his own plans to attempt the route, Sandeep – part of the Indian team for the 2017 IFSC World Cup in Bouldering at Navi Mumbai – availed an opportunity to train in Slovenia for the event. Among others training so was Pune-based Ajij Shaikh. According to Ajij, Sandeep apprised him of the project he had got into – Samsara is Nirvana – and asked if Ajij wished to join. Ajij, who is among India’s best sport climbers, had already heard of the route from Tuhin. He sought more details. He knew that hailing from Pune, the bulk of his climbs had been in warm weather conditions. Samsara is Nirvana is in Ladakh, a region with average elevation near 10,000 feet, its mountains and rock faces being still higher. In June, all four – Sandeep, Ajij, Madhu and Gaurav – would converge in Navi Mumbai for the World Cup; Sandeep and Ajij to climb and compete, Madhu and Gaurav to volunteer. In August, Ajij went to Leh. It was his first visit to the Himalaya. Following time spent in Leh to acclimatize and a trip to Suru Boulder Festival, in September 2017, Jamyang, Ajij and Sandeep reached Tsogra gorge to attempt Samsara is Nirvana. By now, news of Madhu and Gaurav climbing the route had filtered through. It was also tad late in the season. Ladakh was beginning to get cold. Sandeep and Ajij climbed for two days but the attempt had to be aborted following fall and an uncomfortable bivouac on the rock face. According to Ajij, the grade of climb isn’t too hard. What makes Samsara is Nirvana challenging is the combination of grade, the impact of altitude on climbing, long run-outs and the cold environment. Plus, unlike sport climbing, multi-pitch entails a lot of hard work; there is gear, ropes and stuff you need for potential bivouac to haul. On the second morning of their climb, as he started to lead, Ajij had found the rock too cold to grip. He felt tired and not in his elements. Eventually the duo aborted the climb at the eighth pitch or so. Sandeep plans to try Samsara is Nirvana, again. I asked Tuhin if he planned to attempt Samsara is Nirvana again. “ I do plan on attempting the route again,’’ he wrote in. Ajij wasn’t sure he would. The curiosity was there but the environment in which the route was, bothered. He was in a train in Pune, when we spoke. Amid erratic phone network, sound of locomotive horns and the chatter of people around, he said that multi-pitch climbing at altitude wasn’t exactly his cup of tea. Sport climbing seemed more his style. Both Madhu and Gaurav now think of attempting more trad routes and big walls in the Himalaya. “ It was smooth, working with Gaurav. There hasn’t been a dispute or disagreement, so far,’’ Madhu said. By now he had finished the tea and butter idli he ordered at the cafe. Monsoon was waning and Bengaluru’s weather was pleasant. “ I will adjust with anything,’’ Madhu said of coping with the Himalaya, “ whatever challenge is there, I will take it. Of course, I will think before I take it. Whatever happens is right for me. Good or bad doesn’t matter.’’ At the time of meeting him for this chat, Madhu was yet to do a mountaineering course. He wasn’t in any hurry to do one. He said he preferred the challenge rock climbing offered. Gaurav credited Madhu for the duo finally topping out on Samsara is Nirvana. About himself, he said he had approached the route – scene of his earlier accident – with a positive mind. On August 12, 2011, Giovanni Quirici died. The talented Swiss climber was killed in a fall in the Alps. A post on the website of The British Mountaineering Council (BMC), dated August 21, 2011, said, “ although exact details have not been forthcoming, the Geneva-based Swiss alpinist was leading a pitch on Le Chant du Cygne (Swan Song), Michel Piola’s last of five new routes on North Face.’’ The North Face referred to was the north face of the Eiger. Piola is a noted Swiss climber who, according to information on Wikipedia, opened more than 1500 routes worldwide with more than a hundred in Europe’s Mont Blanc massif alone. Quirici was both former Swiss junior climbing champion and a member of the country’s national climbing team. He left indoor competitions to focus on first ascents on rock. He established several difficult first ascents. The report on BMC’s website said, “ It appears that 33 year-old Quirici took a big fall and died more or less instantly. His partner was rescued unharmed.’’ Dwelling on Quirici’s climbs, the post also mentioned that four years earlier, in 2007, he had put up a 650m rock route in Ladakh, named Samsara is Nirvana. Thuriya, the sail boat that will carry Commander Abhilash Tomy KC in the 2018 Golden Globe Race (GGR), will have her mast fitted in December. 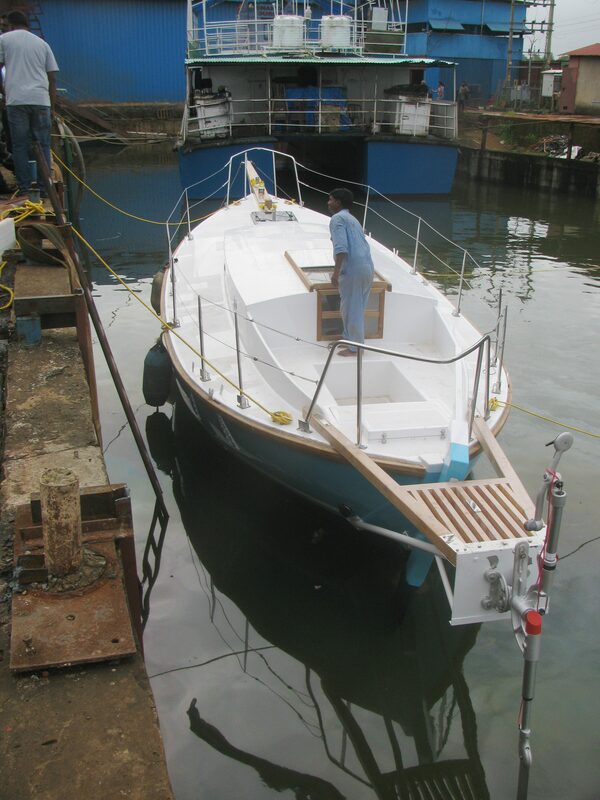 The boat, based on the same design that Sir Robin Knox-Johnston used for his solo nonstop circumnavigation in the first GGR of 1968, was built at Aquarius Shipyard in Goa and floated in August 2017. The GGR involves solo nonstop circumnavigation of the planet in a sail boat. Sir Robin was the first person to do such a solo nonstop circumnavigation. Suhaili, the boat Sir Robin used, was built in Mumbai. The Thuriya is currently in Goa. Aquarius, the yard that built her, had earlier built the Mhadei and her sister vessel, the Tarini, too. In 2012-2013, Abhilash had become the first Indian to do a solo nonstop circumnavigation aboard the Indian Navy’s INSV Mhadei. His team manager for the 2018 GGR is Captain Dilip Donde (Retd), the first Indian to do a solo circumnavigation. “ We did a dry run of the mast installation at the yard to figure out the placement of deck gear. After that, we took off the masts and kept them aside. We will do the final installation of the mast in December seaward of all the bridges on Mandovi River,’’ Abhilash informed last week. Being seaward of the bridges for mast-installation was the case when Mhadei was built at Aquarius, too. Sail boats may be small. But their masts can be tall and the road bridges over the Mandovi don’t have adequate clearance for such sail boats to pass through, below. The mast is therefore fitted closer to the river’s estuary, past the bridges. Aquarius on the other hand, is located upstream. According to Abhilash, the team also did a trial of the jury rig on the river. “ Jury rigging is the use of make-shift repairs or temporary contrivances, made with only the tools and materials that happen to be on hand, originally in a nautical context. On square-rigged sailing ships, a jury rig is a replacement mast and yards (a yard is a spar to which a sail is attached) improvised in case of damage or loss of the original mast,’’ Wikipedia explains. “ We will be doing formal trials sometime this week after all the communication equipment and electrical systems are installed,’’ Abhilash said. Incidentally, the Thuriya has to be free of modern digital communication and navigation devices. Besides circumnavigation, the second GGR’s quest is to sail around the world at the same technology level as prevailed in 1968. Meanwhile, the engine trial has been done and the team is satisfied with the result. The engine on a sail boat is typically used for maneuvering within harbors. Races impose strict conditions on how they may be used, including sometimes, cap on amount of fuel permitted. “ Sea trials will happen in December after the mast is installed,’’ Abhilash said. Major sponsors to support the voyage are awaited. Few events showcase adventure in the true sense as sailing around the world solo and nonstop in a sail boat with electronics capped at 1968 level. Abhilash is the only participant from India in the race. For more on solo circumnavigation please click on Sagar Parikrama under `categories’ in the side bar of the blog. Harish Singh handed me a brightly colored, plastic cover with ` Raj Fashions’ written on it, the name of a ready-made garments shop in Bageshwar where the family had likely shopped. It had come all the way from Khati to Song and then with Govind, in his jeep to Ranikhet. Within the bag was a small piece of Pindari Glacier-history. Khati is a big village. At the time of first writing this story in 2012, Khati was a compact aggregation of houses, packing in several families into a modest expanse of land located steeply above the point where the Pindari River meets the river flowing down from Sunderdhunga. 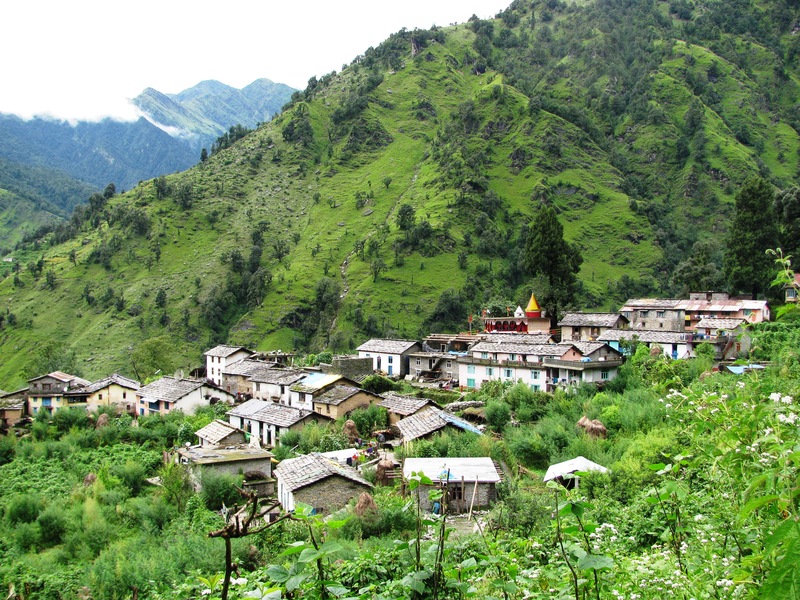 What it lacks in scale, Khati makes up for on two other fronts – it is the last major village on the popular tourist trail leading to the Pindari Glacier; as last village it has access to sizable forest lands beyond and forest produce therein. Notwithstanding this local prominence, Khati is actually a young village. Its neighbors are older. Harish, who works in Ranikhet, hailed from Khati. He had heard that the area where the village stands was originally called `khata,’ a general reference to any place where goat, sheep and buffalo are brought to graze and their dung settles into a good manure for grass to grow. Usually animal shelters are built at such places and the people come up seasonally with their flocks. There are similar grazing spots at altitude trekked through even today in the Himalaya, where if you visit off-season you are met by stone buildings and sheds with neither man nor animal around. It’s of course a different story in grazing season. If viewed in perspective, the book’s contents were very engaging. History begins from the very first certificate on page one. Addressed to Gopal Singh, it was written on July 8, 1925, by Henry G. Hart, Secretary of the Lucknow Young Men’s Christian Association. Talking of his decision to mail Gopal Singh a little axe as token of appreciation for assistance provided on his trip to Pindari, Hart said, “ I am enclosing a copy of a letter which I have just written the Deputy Commissioner, Mr Rutledge, in which I recommend your help if he tried the Pass again.’’ Two things merit attention. The ` Pass’ referred to here is likely Traill Pass or Traill’s Pass or even Trail Pass and Trail’s Pass as all these spellings exist in our world’s reservoir of information. George William Traill was the second British Commissioner of Kumaon. The pass named after him lies at the top of the Pindari Glacier. It is at an altitude of approximately 17,400ft on the southern shoulder of Nanda Devi East (24,091ft) and Changuch (20,741ft). It links the Pindari valley with the Milam valley via Lawan Gad. Mr Rutledge is most likely Hugh Ruttledge, the well-known explorer of the Himalaya, who once served as Deputy Commissioner at Almora. Besides his explorations trying to find a route into the Nanda Devi sanctuary he was also involved in the early expeditions to Everest. A brief account of Ruttledge’s 1925 attempted crossing of Traill Pass can be seen in the archived issues of the Himalayan Journal brought out by the Himalayan Club. In his book `The Nanda Devi Affair,’ Bill Aitken has dwelt on Traill and Ruttledge, plus a third person who is the reason for this article. “ Traill’s perseverance in crossing the dangerous ice-fall linking Milam with the source of the Pindar was rewarded with the naming of an unfixed pass after him. On top of this, his explorations have been accorded sporting status. It seems more likely his search for a shortcut had been occasioned by the East India Company’s desperation to get a share of the `shawl wool’ filtering over the passes from Tibet (shatoosh happens still to be the most expensive fabric in the world). If Traill is to be termed the discoverer of the pass what does that make Malak Singh, the villager who guided him up and over the ice-fall? The descendants of Malak Singh continue to remind all visitors on the Pindari glacier trek of their ancestor’s prowess but unlike the Chomolungma lobby that deplores the imposition of `Mount Everest’ there is as yet no insistence on dislodging ` Traill Pass’ for `Malak La,’’ Aitken wrote. George William Traill went over the pass that has since borne his name, in 1830. 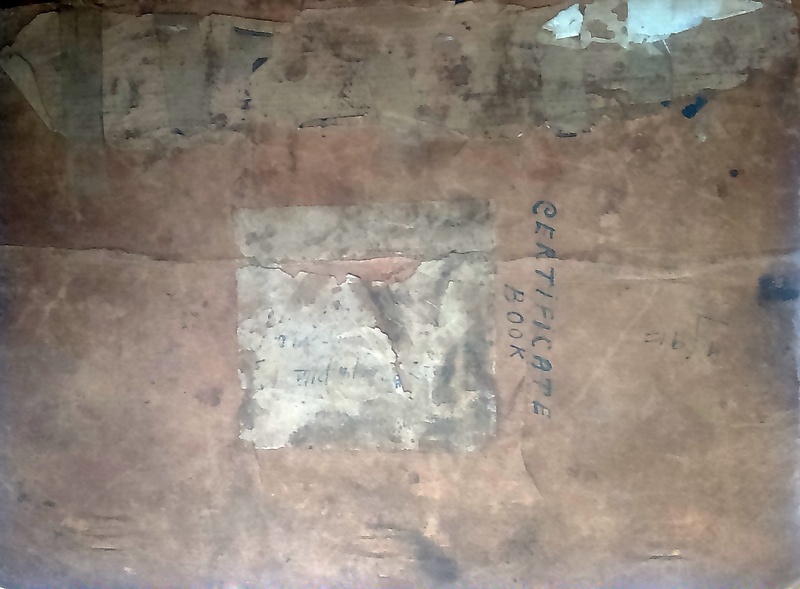 Malak Singh – he became known as Malak Singh Buda, that last bit denoting the position of being an elder – was the grandfather of Gopal Singh, in whose time the `certificate book’ appears to have commenced its life. That makes Harish, the current caretaker of the book, the great-great-grandson of Malak Singh. In the Pindari area, Gopal Singh held an official designation called `Sarkari Bania,’ which, according to Harish, was akin to being a government appointed supplier of food and essentials. In that role, he appears to have assisted many travelers on the Pindari trail. Harish remembers family talk of his grandfather as a locally important person thanks to his position and the people he encountered so. Thus there is even a touch of royalty to the contents. On October 3, 1940, at Furkia (also spelt Phurkia), a halt up the trail from Khati towards the Pindari Glacier side, a letter was issued by the `Baroda Camp Officer’ certifying that Gopal Singh had accompanied the Maharaja Gaekwar of Baroda to the Pindari Glacier. “ The note issued on paper bearing the seal ` Huzur Office, Baroda’ – it is there in the book – says, “ His Highness has presented him (Gopal Singh) a wrist watch in appreciation of his services.” Another piece of similar paper work from the past is the certificate issued in May 1935 by the President of the United Provinces Legislative Council. However, even as the certificate book engages attention, Malak Singh’s role in the history of exploring these parts of the Himalaya, does not seem to have had any impact on how that history was recorded. In October 1987, a party signing in the book as “ D.P. Nad & Party” from Asansol confirms hearing the story of Malak Singh and Traill Pass from Pratap Singh. The letter promises “ to negotiate transactions at governmental level to alter the name of Trail Pass.” There is also an old clipping from a Hindi newspaper – date not available – in which the Nainital Mountaineering Club is reported to have sought renaming Traill Pass to reflect Malak Singh’s role in exploring the route. The Hindi word used in the report to describe Malak Singh’s work is `khoj’ which means search or explore. The most endearing story revolving around the book from Khati should be the one linking the following two certificates. On October 9, 1936, F.W. Champion, Deputy Conservator of Forests, West Almora Division, wrote, “ Gopal Singh ran an exceedingly good bundobast for us while camping at Martoli on the Pindari Glacier. I had a large number of followers and mules, but I did not have any sort of complaint from anyone – which is unusual. He also seems to be a very pleasant mannered man, only too keen to oblige and I am sure that his presence here as sarkari bania is of great assistance to people touring to the glaciers.” Seventy years later, on October 9, 2006, there is an entry in the book by James Champion from Scotland where he has recorded his gratitude to Harish and his father for having looked after him well when he was retracing the steps of his grandfather F.W. Champion, IFS, who had made the same journey in October 1936 and was guided by Gopal Singh, Harish’s grandfather. Following Pratap Singh’s demise in 2006, the hotel he commenced was shut down. In 2009, while on an expedition to attempt Baljuri (the bid failed subsequently; for more on that expedition please click on this link: https://shyamgopan.com/2015/12/18/humbled/), I chanced to spend a few days in Khati amid torrential rains. Years later, Harish would tell me, I had stayed in a room right next to where his father’s hotel used to be. The wooden balcony I idled on waiting for the rain to taper ended in a stone wall, on the other side of which was the hotel’s erstwhile location, albeit on the ground floor. Pratap Singh’s children, save one – Harish’s younger brother – have moved elsewhere from Khati. It is now late 2017. Three years ago, after several months of effort, Birender – the sibling still staying in Khati, started a small hotel, this time on land right next to the trail leading to Pindari Glacier. According to Harish, the new enterprise features an eatery, a shop and provision for travelers to stay over. The family named it: Himalayan Hotel. Early November 2017, the question vexing Delhi was – how safe is the air? The union environment minister was quoted in news reports ascribing the smog to “ adverse meteorological conditions.’’ According to him, there were the twin problems of still wind at ground level and two wind masses – one bearing pollutants from crop burning in Punjab, the other laden with moisture and blowing in from eastern UP – colliding in the upper atmosphere. The minister was likely correct. It was also selective explanation, the stuff of calibrated response. It suggested that the fault wasn’t ours; it was more a conspiracy by weather. We have known for long that Indian cities are polluted and becoming increasingly so. Across Mumbai, Delhi, Chennai, Bengaluru, Kolkata and more – there are rivers, streams and creeks that have been polluted to varying shades of sewer. Blaming their toxicity on lack of water flow or colliding water currents, would be laughable. We know the toxicity is us; our way of life. All the three major culprits cited for the Delhi smog are man-made – crop burning, automobile emission and construction dust. Mumbai escapes terrible smog probably because it is a coastal city. But its land, water bodies and the adjacent sea are scarred by pollution. Adding to the confusion over how to tackle pollution is life by religion. Amid smog in Delhi, some highlighted how the Court erred, blaming Diwali for pollution when immediate culprits are other causes. I shut my ears. By the time I left Delhi for Mumbai, two people were dead after their car fell into the Yamuna River, courtesy smog and low visibility. Elsewhere, there were reports of vehicle pile-up. For those interested in running, major question was – what will happen to Delhi’s biggest running event due later in November? This discussion too was characterized by calibrated response. The organizers termed medical advice seeking cancellation of event as premature; they said similar conditions had been there before, they said vehicles wouldn’t be plying the race’s route from 12 hours prior to the event and that salt water would be used to wash the route to keep dust settled. Are we past calibrated response? Anyone who walks, runs or cycles regularly in Indian cities is automatically exposed to the dark side of our collective existence; the extent of air pollution and the danger of rising vehicular traffic. Besides poor quality air for runners to inhale, cyclists have got knocked down by aggressive traffic. People have died. What worries in an experiential sense is how respect for human-powered locomotion and the outdoors is shrinking in Indian life and how that attitude is spreading like fashion. Nine days after I left Delhi, the city’s prestigious half marathon was held as scheduled. News reports said, close to 35,000 people had registered. Thanks to wind and rain, pollution thinned and air quality improved. It’s good to know that committed runners will run no matter what. Unfortunately nobody asks – what happens after they display their resolve? Will the resolve extend to making sure that next time around, pollution levels are low? As we become more and more slaves of our emergent nature, those of us feeling alarmed by pollution outside shrink in number and calibrated response to pollution becomes increasingly acceptable. It is convenient, avoids blaming us. 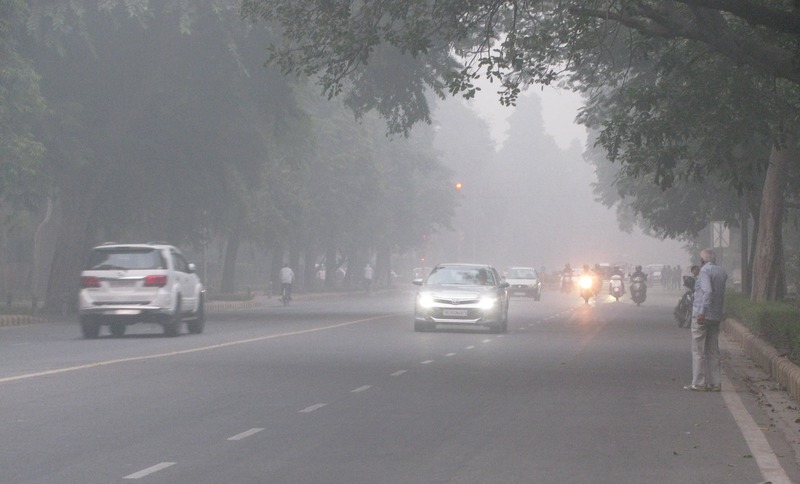 Colliding air currents suffice to explain Delhi’s smog and runners and cyclists would seem a nuisance on streets meant for climate controlled-vehicles transporting people and goods to their destination. Why are we suckers for calibrated response? Why don’t we notice the blunt truth? Nobody likes pointing the finger of blame at themselves, particularly in context like India where national problems – from population to pollution – are self-wrought. Calibrated response is dished out to keep the human collective and strategically important economic interests therein, happy. Population becomes market and workforce for GDP; pollution becomes collateral damage for industry and employment. In contrast, endurance is about experiencing self and solitude. Deep into a run, hike or swim you confront it. You become just what you are. There is no room for pretense, cover-up and fraudulence. There is no hive; only bee. For such a mind, between noticing smog and buying into calibrated response, the former should attract. Doing so, you are no more market. A market pace of evolution is nowadays not only slow compared to the urgency of our problems, it also leaves us intellectually dissatisfied. Increasingly now, a better environment is our individual responsibility. The outdoors and endurance sport are like portals to awareness. Some view it as achievement. A slightly different lot would view it as a new way of looking at life. The word for it is perhaps – aesthetic. The Oxford dictionary describes aesthetic as: concerned with beauty or the appreciation of beauty. Dig a bit deeper. Here’s how the dictionary describes beauty: a combination of qualities, such as shape, color or form that pleases the aesthetic senses, especially sight. Within that meaning and several other sub-texts, there was also this: a combination of qualities that pleases the intellect. Question to ask is – are we living an aesthetically pleasing life? Did the smog seem beautiful? There’s more to the smog than meets the eye. In it, we see what we have become. A sense of aesthetic will help us pollute less. Following which, any marathon will be beautiful, no salt water needed. It was early November 2017, around 7 AM. Winter was in the air. Not yet the season full-blown but its approach. Most hill stations in India have a Mall Road dating back to British India days. These settlements typically grew around a central mall. Over the years, Mall Road became a hub for human activity and socializing. Some Mall Roads have even become avoidable for those seeking peace and quiet. You don’t visit the hills to be in the bustling center of yet another town – do you? That’s what makes Ranikhet’s Mall Road different. All the activity is at least three kilometers away, where the local market took shape. This Mall Road is quiet, except for vehicular traffic. It is a road largely lost to army cantonment, some residences, a post office, an officers’ mess, a few shops selling grocery, a tea-shop or two and a hotel – Meghdoot Hotel. Some three kilometers away from Meghdoot, towards Ranikhet’s market, a panoramic view of the Himalaya opens up. On a clear day, snow-capped peaks stretch from one end to the other with the 7120 m-high Trishul, beautiful and dominant up front. The mountain guarded by many of these peaks, including Trishul, sits recessed and therefore appears tad small despite its 7816 m-height. Nanda Devi was first climbed by H.W. Tilman and Noel Odell in 1936, thirty six years before Meghdoot opened in Ranikhet. The town and its bus service of the 1930s find mention in Tilman’s writings about the expedition. As does “ Garul’’ – likely modern day Garur – the settlement through which the expedition, moving on from Ranikhet, proceeded to Joshimath via Kuari Pass. Garur is now a busy, small town on the road from Ranikhet to Bageshwar. Nitendra Singh Rawat hails from there. That afternoon, it wasn’t difficult for me to identify him among the people gathered near Meghdoot. The track suit with `India’ printed on it, made it easy. We sat down for tea and conversation at the hotel’s restaurant. In training for the Airtel Delhi Half Marathon (ADHM) due later that November and the Tata Mumbai Marathon of January 2018, he brought his own flask of water to drink. Nitendra was born 1986 in Anna village in Garur. He is the eldest; he has two younger sisters. His father, who eventually worked as a contractor, also offered at one point, a service that harks of erstwhile geographical remoteness and bygone times – villagers in the region entrusted him with their exposed film rolls; he accumulated them, got them processed in Delhi and provided photographs. Nitendra spent the first five years of school life in Garur. For the next five, he shifted to Ranikhet and its Army Public School. For eleventh and twelfth grades, he returned to Garur. At this stage of his life, he wished to be a doctor. He was as active as any youngster born to the hills; he played cricket, basketball and hockey – all as recreation, not for potential career in sports. “ I never thought I would become an athlete,’’ Nitendra, among India’s best marathon runners at the time of writing this article, said. Garur, Ranikhet – they fall in the eastern half of Uttarakhand, traditionally known as Kumaon. Kumaon University maintains two campuses; one in Nainital, the other in Almora. 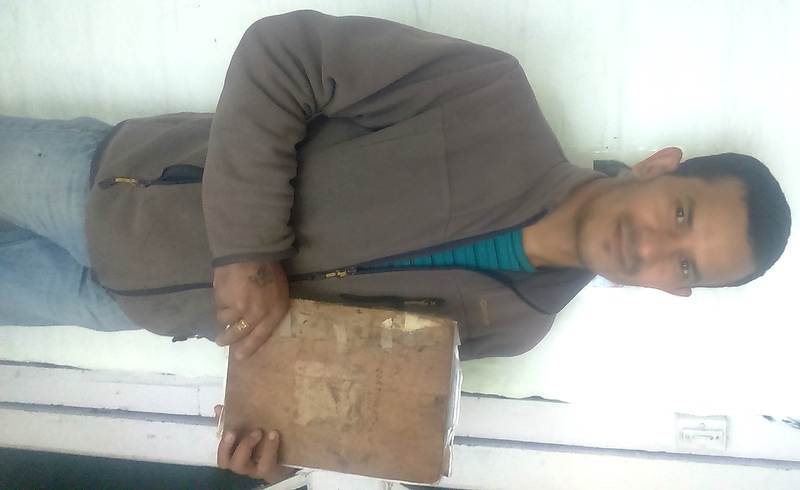 Wanting to graduate in science, Nitendra attended classes at the Almora campus. The town had a ground, where people ran regularly. “ I wanted to be able to do that,’’ Nitendra said. He joined the runners. Despite his desire to be as good as the others, he found running, boring. Then one day a friend arrived wishing to enroll in the Indian Army. Uttarakhand is among states sending the highest number of recruits to the army. Indeed running in the hills is entwined with enrolling in the army; approaching recruitment season sees more people running on the road just as an approaching major marathon does in Mumbai, Delhi, Chennai or Bengaluru. Although the recruitment plan was his friend’s, Nitendra also ended up taking the relevant written and physical tests. Following this, he went back to his studies. Unknown to him, he was accepted for joining the army. The call letter was posted to his home in Garur, where it caused a flutter. Being the only son, it wasn’t an easy decision for Nitendra’s father to send him off to the army. An extended meeting involving relatives was required to approve his enlistment. In 2005, Nitendra joined the army. He was accepted into the Kumaon Regiment, one of the most decorated regiments of the Indian Army. Its regimental center is in Ranikhet (the Naga Regiment is also based here). The army got Nitendra who had once found running boring, to run. “ Training was hard,’’ he said. Everyday routine involved running 4-5 km. Weak runners merited punishment, typically running longer distances. “ You run as best as you can because you don’t want to be punished,’’ Nitendra said. His first cross country run as part of training wasn’t a case of strong finishing. But when the selection for the regiment’s cross country team was done, he stood first in trials. He became part of KRC’s cross country team. KRC is a place where a sportsman can find jackets bearing different insignia – some have the regiment’s name written on them, some have ` Services’ and a few, ` India.’ “ I knew I wanted one,’’ Nitendra said. Fired up, he tried running with the best runners around. Too much too soon usually spells disaster in running. Keeping up with the best took a toll on Nitendra. He came down with shin splints in both legs. He was advised rest for six to seven months. In 2007, he was labelled RTU (Return to Unit) and sent to join Sixth Kumaon, then based in Delhi. In 2008 beginning, the unit moved to Poonch near the Line of Control (LOC) between India and Pakistan. It was hard work. 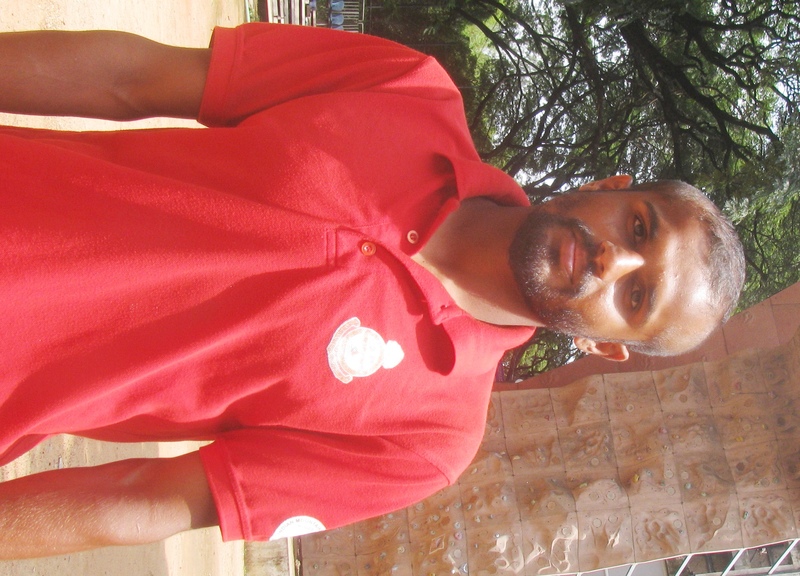 Engaged so, Nitendra wondered: why not put in the same hard work in sports, back at KRC? He began taking sports within the army seriously. He worked his way up the levels. The 2008 Cross Country Championship was held at KRC in Ranikhet. Cross country typically has two disciplines – four kilometers and 12 km. Nitendra finished fourteenth in the four kilometer version. That gained him a berth in the army cross country team. Towards the end of that year, the cross country training camp was held in Hyderabad. A little over a year later, in January 2010, Nitendra represented Delhi state in the national cross country championships. Following this event, he was among those selected and dispatched for that year’s World Military Championships held in Brussels. On return from Brussels, he decided to work still harder. When he ran 5000 m on track, he returned a timing of around 15 minutes, 30 seconds. Within one month, he had it reduced to 15:07. 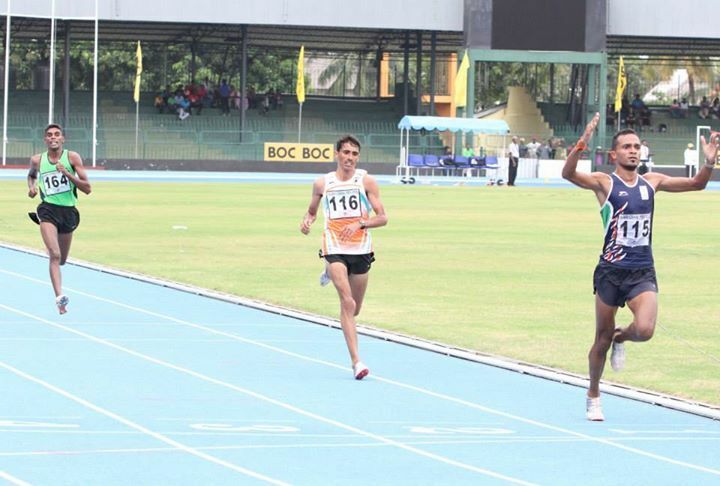 At a subsequent national level athletics championship, he ran the 5000 m in 14:29. That was a major turning point. He was selected for training at the Army Sports Institute (ASI) in Pune. Over 2010-2012, he ran several races in which he covered 5000 m in timings in the range of 14:30 to 14:50. Reaching ASI was a boon in more ways than one. It is among the best facilities for training athletes in India; Nitendra thinks that in some departments it is on par with the best in Asia. Here an athlete gets to focus on his discipline. For Nitendra, ASI also meant a miraculous opportunity to work with a senior athlete turned coach from Uttarakhand, he had only heard about till then. Surinder Singh Bhandari, hailing from Gairsain, still held the national record in 10,000 m at the time of writing this article. He joined the army’s Garhwal Regiment. Nitendra’s selection to train at ASI coincided with Bhandari’s appointment as a coach there. Subsequently both coach and ward would also make it together to their first national camp; this one held at Bengaluru. “ ASI was a good environment to be in. Everyone there was a top class athlete. That motivated you,’’Nitendra said. By May 2013, coached by Bhandari, he ran the 5000 m in 13:55, the first athlete from his batch of runners to touch that mark. Great performance is like a knife’s edge. Six months later in November, he experienced pain in his knee. It was diagnosed as meniscus tear. Surgery followed. Nitendra was once again, out of training. The break lasted 2-3 months. When he reported back to the national camp, the situation was demotivating. He was unfit; he had gained weight. Coach Bhandari told him to jog easy for 20 minutes or so. While that may have been the correct route for return, the overwhelming impression Nitendra had was – everyone who trained with me has gone way ahead. He was in the slow lane, alone. It was also equally clear that he would have to work his way back from zero. Nitendra shared his sense of gloom with Bhandari. But the coach kept on motivating him. Commencing an altogether new journey, Nitendra first trained with juniors. Then he trained with elite women runners. Inch by inch he improved. By February 2014, he was good enough to restart the old training. 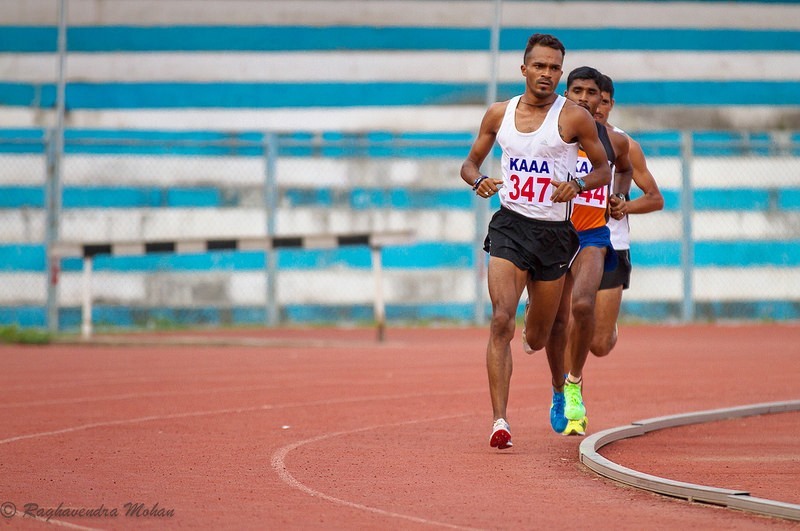 Four months later, at national level competitions held in Lucknow, he was back to being in the top three in the 5000 m. Alongside, the need to make a decision emerged. To be an international class athlete in the 5000 m, Nitendra knew he would have to break the 13 minute barrier and be able to sustain such performance. As of late 2017, the world record in the discipline belonged to Ethiopia’s Kenenisa Bekele with a timing of 12:37:35. The Indian national record hailed back to June 1992, when Bahadur Prasad ran the distance in 13:29:70. Nitendra, running the 5000 m and tasked with improving his performance in it, felt he wouldn’t be able to break into sub-13 minute realm. On the other hand, the mileage athletes accumulated in training, even for a discipline like the 5000 m, was sizable. They had the endurance to attempt longer distances if they wanted to. Nitendra began telling Bhandari to help him transition to the marathon. Eventually the coach relented. The army runner became Bhandari’s first ward shifting to marathon territory. The switch happened in March 2015 at Dharamsala. 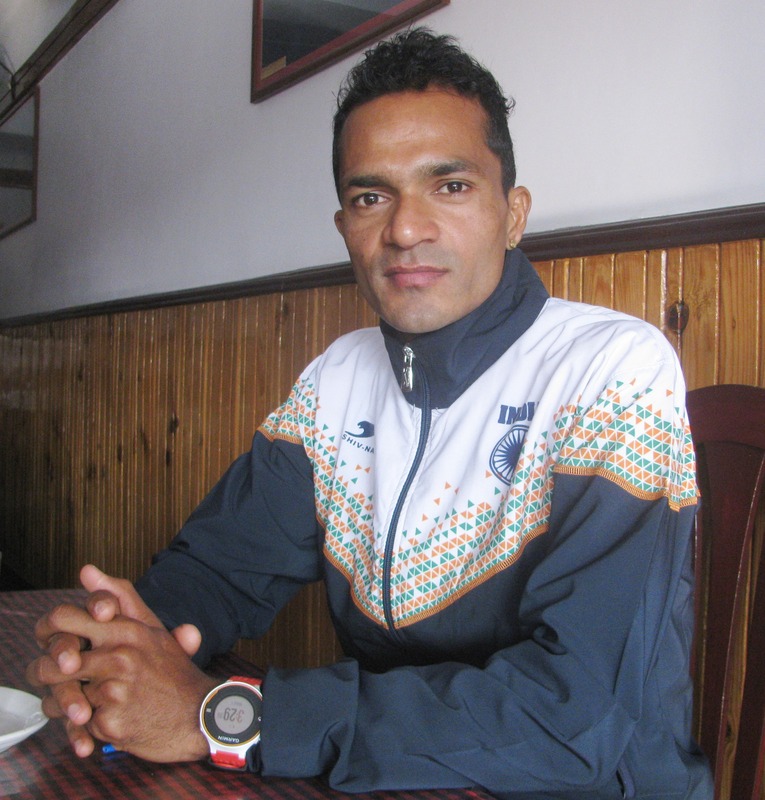 In June that year, Nitendra ran his first formal marathon at the trials held to select athletes for the upcoming World Military Games in South Korea. He completed the run in 2 hours 21 minutes. Selected for the event, ward and coach moved to Ooty in Tamil Nadu to train at altitude. Ooty is favorite destination for high altitude training in Indian athletics. It is 7350 ft up in South India’s Nilgiri Hills. It is both a hill resort and a military base, Wellington, roughly 11 km away, being home to the Indian Army’s Madras Regiment as well as the Defence Services Staff College (DSSC). According to Nitendra, the army’s facilities here include a proper running track. If you are selected for a formal national camp in athletics at Ooty, then the arrangement provides you quarters to stay in. If you are not part of the national camp, committed athletes knowing well the value of training in Ooty, rent their own accommodation and train. Given top class athletes keep shifting in and out of national camps, many of them are familiar with both these modes of training in Ooty. A typical Ooty schedule for Nitendra was: wake up at 4.20 AM, do yoga and exercises, then head to the ground for training. For the World Military Games, Nitendra and Bhandari set a target of 2 hours 15 minutes. Nitendra completed his run in South Korea in approximately 2:18, slightly outside the qualifying mark for the 2016 Olympic Games scheduled in Rio de Janeiro, Brazil. A day after this run, Nitendra was told that he had qualified for the Olympics. He thought it was a joke. But it turned out to be true because in the meantime, the qualifying mark for Rio had been lowered to 2:19. Nitendra’s 2:18 in South Korea was sufficient to be eligible to run the marathon in Brazil. By evening that day, the news of his qualification was officially disclosed. He phoned up his father in Garur to convey the information. The family couldn’t believe it. “ Olympics is the dream of every sportsman,’’ Nitendra said. Realizing the gap that stood between him and the best marathon runners due to assemble in Rio, he decided to proceed with a realistic training program. For target he chose the 2:15:25-world record (mixed gender) in women’s marathon set by UK’s Paula Radcliffe at the 2003 London Marathon. The event he had in mind to try and achieve this, was the 2016 Standard Chartered Mumbai Marathon (SCMM / now called Tata Mumbai Marathon). January 17, 2016 in Mumbai was a remarkable day for the Indian Army’s runners. While the men’s winner overall was Kenya’s Gideon Kipteker who ran the distance in 2:08:35, Nitendra set a new course record for Indians with a timing of 2:15:48. While this was marginally slower than Paula Radcliffe’s world record, it was remarkably close to the 2:15:40, which Bhandari had predicted ahead of that edition of the SCMM and conveyed to Nitendra’s Commanding Officer. “ It shows how well my coach knew my ability,’’ Nitendra said. Further credit to the army, two more of their runners – T. Gopi (2:16:15) and Kheta Ram (2:17:23), qualified for the Rio Olympics. The story didn’t end there. Roughly 25 days later, at the 2016 South Asian Games held in Guwahati and Shillong, Nitendra achieved the target he had been chasing. He ran the full marathon in 2:15:18; timing faster than Paula Radcliffe’s record. “ That was two personal bests within a gap of 25 days,’’ he said, sipping his tea. It was now evening and being early winter, the sun’s dip below the horizon was also an early affair. Winter sunshine is one of the best things there is. It stands out for warmth amid cold and light in grey environment. Meghdoot’s restaurant faced west. Evening brought shafts of sunlight into the restaurant. For writer from Mumbai, the hotel’s story was engaging. Ranikhet is at an elevation of 6132 ft. Decades ago, the land on which Meghdoot stands belonged to a Parsi gentleman known simply as Rustomji. The building he constructed came to be called Rustomji Building. Today, the Parsi community’s best known address is Mumbai. Back then, Ranikhet’s Rustomji Building wasn’t alone in its Parsi origin; there was also Sorabji Building and Jamshedji Building nearby. On the land he leased near what is today’s Mall Road, Rustomji built a single storey structure that housed shops and had a stout basement which functioned like a storage depot of sorts. This structure was destroyed in a fire. Rustomji rebuilt it. The building, besides its shops, had a billiards room and a skating rink built of polished teak from Assam. Jamshedji Building in the neighborhood had a second billiards room and shops, while Sorabji building had a cafe. Additionally, there were dance halls in these old buildings, there were wine shops, tailors – all of which probably made the Mall Road of those days different from its current quietness. Further up from Mall Road was Chaubatia identified with bungalows for military officers and British India’s government officials. In due course, the British India Motor Company became a tenant at Rustomji Building. They operated buses on the Haldwani-Ranikhet route, linking Kumaon’s hills to the plains. The environs of today’s Meghdoot, was then, the location of the bus station, a workshop to repair buses and a petrol pump. Along the way, the British India Motor Company sold out to a transport company from Nainital; they continued to run the bus service. Then at some point, the bus service and the bus station, folded up. Their disappearance, leaving market three kilometers away as local hot-spot, would have contributed to the peace characterizing today’s Mall Road. In 1958, ownership of the property that used to be Rustomji Building, changed hands. On February 2, 1967, for the second time in its history, the building was victim of a fire. Rebuilt, the new structure opened as Meghdoot Hotel in May 1972. Like winter’s sunshine, good times don’t last long. By May 2016, following a series of strong performances, Nitendra was getting early signs of hamstring injury. The Olympic Games in Rio was due to begin on August 5. After the national camp for Rio bound-athletes held in Bengaluru, Nitendra reached the Brazilian city with the rest of the Indian squad. He recalls being very excited to be in Rio; it wasn’t just the chance to be at the Olympics, it was also a chance to meet stars he had kept track of – among them, Jamaica’s Usain Bolt and UK’s Mo Farrah. Nitendra’s own story however wasn’t playing out well. Within 3-4 days of arrival in Rio, his hamstring injury started acting up. He underwent physiotherapy. For the first few kilometers of the marathon at Rio, Nitendra said, the pain from his injury, on a scale of 1-10, was at 5. At this stage of the race, he was with the lead pack of runners. By the fifteenth kilometer, the pain worsened. He began dropping back. One reason for this, he believes, was the course, which was wet from rain. If you run fast on a wet course, your hamstrings are bound to work harder attempting to provide better grip for your feet on slippery surface. It took a toll. 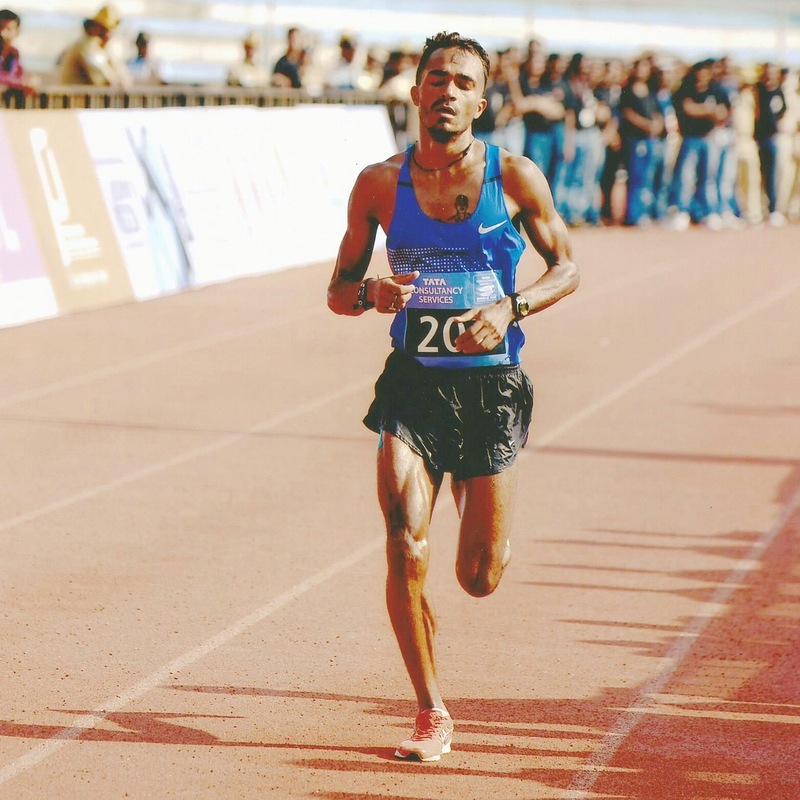 While Gopi and Kheta Ram produced personal best timings to place 25th and 26th respectively, Nitendra completed the marathon at Rio in 2:22:52, placing 84th. Interestingly, Gopi’s 2:15:25 at Rio matched Paula Radcliffe’s record, which Nitendra had chased in 2015-2016 and eventually bettered by seven seconds at the 2016 South Asian Games. For Nitendra, his performance at Rio and injury meant another challenge. “ In the run up to Rio, I received a lot of encouraging messages on social media. There was much expected from me. Bad performance changed it, I must have disappointed well-wishers. The sentiment in messages reversed. I began getting messages with a negative tenor to them,’’ Nitendra said. The experience scarred him. Rio left him an Olympian but he does not enjoy talking of it. He avoids public functions around that. Meanwhile injury meant exit from national camp. “ I wish Indian sports supported athletes in a more sustained fashion. Injuries happen and athletes will tumble from the high position they held. You must not disown them at every fall. 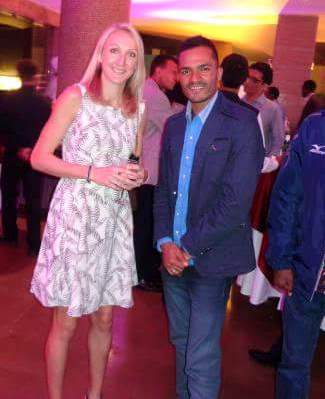 The support and encouragement given to athlete should be consistent,’’ Nitendra said. Post-Rio, when Nitendra had to leave the national camp, he wondered what would be the best option. An old detail, probably forgotten in the thick of preparations for this event and that, surfaced in mind. He was born to the mountains in Garur; he was admitted to the Kumaon Regiment – which is a regiment from the mountains, KRC in Ranikhet is perhaps a thousand feet lower in elevation than Ooty but not significantly so (besides if you want still higher elevation, it is easily found in the Himalaya). Why not move back to KRC and train in Ranikhet? When I met him at Meghdoot, Nitendra was dividing his time between training at Somnath Ground and running on the road; he had measured out loops on the road near Rani Jheel (a small lake) and the road to Kalika. “ This is a good place to run except that at this time of the year, early morning can be cold,’’ he said. Most important – he intended to stay injury free. On October 22, 2017, around ten days before I met him, Nitendra ran the BSF Half Marathon in Delhi, covering the distance in 1:03:55. But he wanted an event of higher profile to formally measure his comeback. So on the radar next was the Airtel Delhi Half Marathon (ADHM) of November 2017 followed by the Tata Mumbai Marathon (TMM) in January 2018. As for whether he dreams of going for another Olympics – the answer to that is: yes.